Missing endangered person: Steven Jones, 60, W/M, 6’2”/175. Last seen near Foster Rd & Stonebridge Dr. 7pm on 5-16-18. SAN ANGELO, TX -- (SAPD Press Release) Update 3:24 p.m. 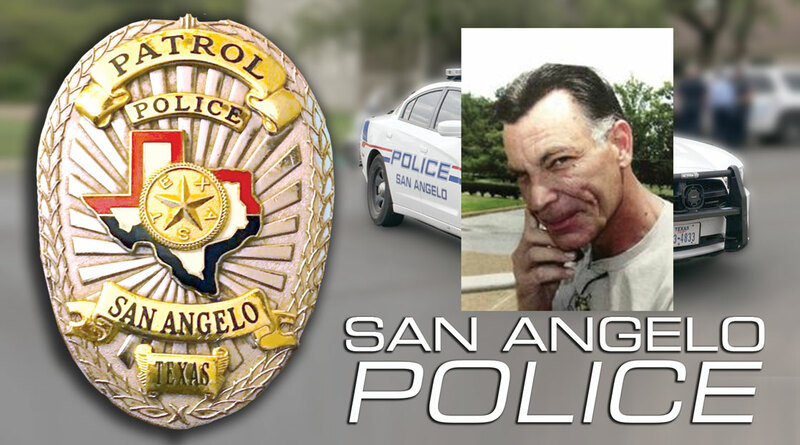 The San Angelo Police Department has located Steven Jones and has canceled the Missing Person Alert. Original Story: The San Angelo Police Department seeks your help in locating a missing "at risk" person: Steven Jones , 60, W/M, 6’2”/175, brown and gray hair (window’s peak). Steven may be wearing jeans and tennis shoes. Jones was last seen around 7:00 P.M. on Wednesday, May 16, 2018 near Foster Rd. and Stonebridge Drive. If you have information that can assist in helping safely locate Steven, please call the police at (325) 657-4315 or 9-1-1 if Steven appears to be in need of medical attention.